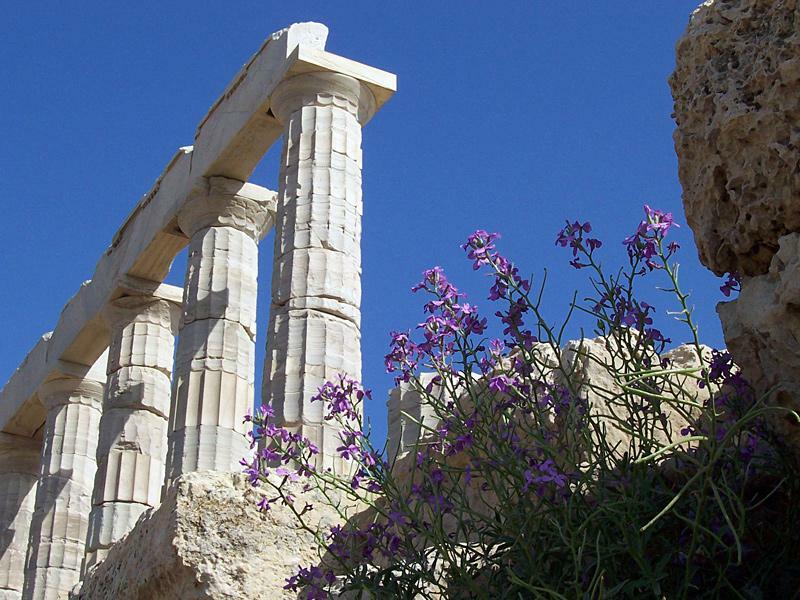 When sailing from Athens, Cape Sounion offers an ideal stop-over to explore the Cycladic islands. But even if Lavrion is your starting yacht charter base, a small detour to visit this enchanting place is well worth it. Besides a lovely anchorage, Sounion can boast one of the most majestic sunsets in Greece and is famous for the famous Poseidon temple which overlooks the yachts in the bay below. A lot of itineraries in the Saronic Gulf include a visit to Cape Sounion from either Athens, Aegina, Poros or Kea. The conspicuous Temple of Poseidon was erected in 444 BCE. Besides via charter yachts it can be visited by bus.